Create your own eurostar break by combining accommodation and tickets then book in one transaction. Extensive choice of hotels, flexibility to stay as many nights as you wish. Create your own Eurostar Break and you could be shopping in Lille in just 1 hour 30 minutes, exploring the historic capital of Brussels in under 2 hours or soaking up the atmosphere of Paris in 2 hours and 20 minutes. 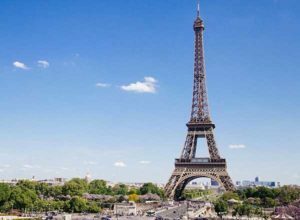 With a wide range of accommodation available throughout Europe from 2 star value hotels to 5 star luxury and boutique hotels there is something for everyone on these value for money Eurostar City Breaks. Once you have selected your travel dates you will be able to choose from an extensive list of accommodation from great value budget 2* to luxury 5* hotels that have availability for your chosen dates. Prices shown are for guidance only and were available at the last update. Actual price will vary depending on the departure date/time, time of booking, hotel and duration of your break.